Pillow tops are the latest craze in bed retailers offering cloud-like sleeping experiences, hotel-style beds and the ultimate in decadence. The problem is pillow tops can severely reduce the lifespan of your bed and once they compress, that’s it you’re stuck with it. Find out how to avoid this with our guide. It is a construction method whereby a layer (pillow) of sumptuous upholstery is permanently stitched upon the mattress. It is invariably always going to be one-sided. It will invariably be high-loft (28-35cm) They invariably tend to look absolutely glorious. The Premier Inn use a Hypnos Pillow top mattress that we recently reviewed here. This is harder to answer, they give the impression of a sumptuous soft topper but are permanently stuck to your mattress either by glue or machine stitched on. We struggle to find any argument for using pillow tops, other than to stop toppers sliding off maybe, which we can only imagine would happen at sea and even then it would have to be a very choppy ocean? We did have one thought that maybe it stops retailers for forgetting to bag up the topper with the mattress but this sounds rather ridiculous. We can really find no use for pillow tops in any type of mattress construction. How are pillow tops constructed? Let us start with the construction method. It is built in two parts. 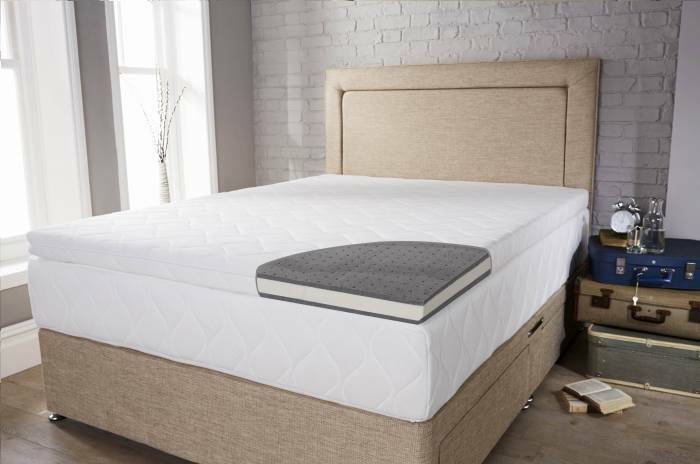 The pillowtop is stitched directly to the top of the support creating a two-tier mattress. Up to this point, there is really nothing wrong with this all you have now is a fancy schmancy one-sided mattress. 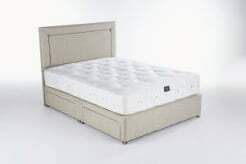 The support part of the mattress can be any type pocket springs, foam, suspension springs or even cage springs. The Pillowtop can also be comprised of anything from polyester, memory foam, latex, wool etc. This is usually a super soft layer to give that immediate sink feeling to the mattress. A good comparison is a feather or down topper which immediately sinks and lets you snuggle into the topper. What is wrong with pillowtop mattresses? The main objection to pillow tops come into what you are expected to pay for them and the lifespan you will get out of them. Just like a one-sided mattress, you will be unable to turn it so when the pillowtop layer becomes indented and worn, you will eventually have to replace the entire mattress even though the spring support will be sufficiently OK. At this point, I must admit that Pillowtops with a natural latex comfort layer does not fall into this argument although price wise you will be expected to pay a lot more than for a non-pillow top version. What is the alternative to a pillow top mattress? We would advise there is no need to use a pillow top when you can buy a separate topper that can be turned and rotated. This also means you can buy a decent handmade two-sided mattress which can also be turned. This method ensures you get all the benefits of a pillowtop with zero of the drawbacks. 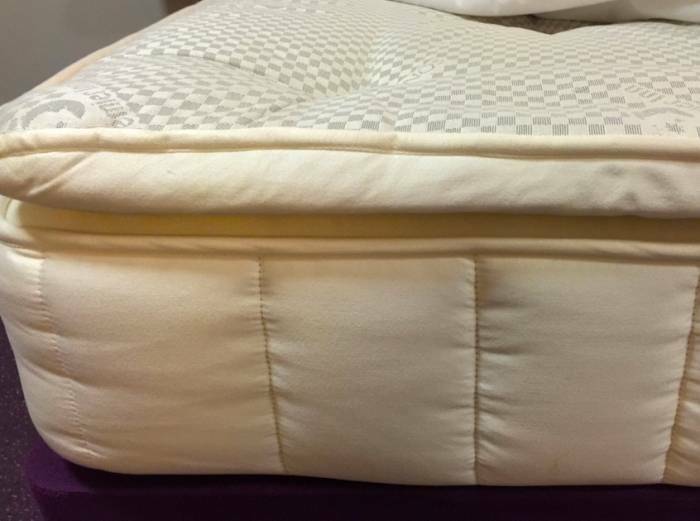 These separate toppers can be turned and rotated like a regular mattress. As and when they require replacing its only this one part and not the entire mattress that you have to replace. None of our mattress range use pillow tops. Where we do use toppers you can completely remove them turn and rotate them. Purchase a decent pocket sprung mattress and purchase a separate 2-3″ deep topper that suits your exact requirements. A decent mattress protector will keep these two parts together. You will then be able to twist, turn and rotate the mattress and the topper separately. Thereby getting maximum use out of both of them. It’s with a higher probability that the topper part will wear out quicker than the mattress but the replacement cost of the topper will be a lot less than the replacement of an entire mattress. Also, as the mattress will not be taking the brunt of nightly activities it should stay as good as new for considerably longer. If you need tailored advice call our small friendly team of experts.